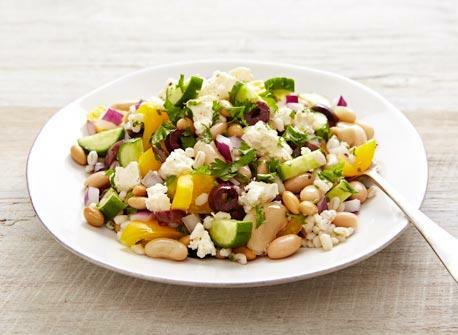 Adding beans and grain to a classic Greek salad turns it into a hearty one-dish meal that includes all the fresh flavour of Canadian Feta. 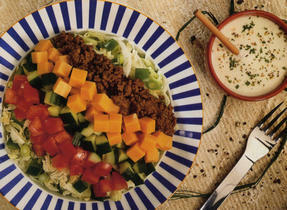 In a large bowl, mix barley, beans, vegetables and olives. 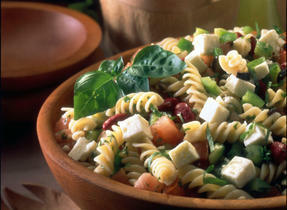 Cheese alternatives: Canadian Halloumi, Havarti, Bocconcini.